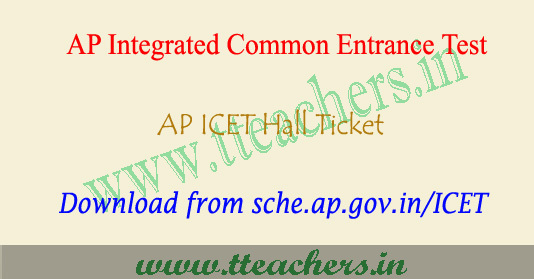 Candidates can download the AP ICET hall tickets 2019 through online mode only. 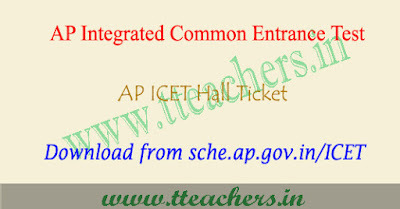 The AP ICET Admit Card 2019 is available on official website sche.ap.gov.in/ICET. There is no procedure to send the AP ICET hall ticket by post. Candidates are able to download the hall ticket after successful submission of filled application form. All the aspirants appearing for ICET examination in the state of Andhra Pradesh can download their hall tickets from the AP ICET 2019 Official website and can store the hall ticket at a secure place to carry to the entrance examination hall. This test is being conducted by Sri Venkateswara University, Tirupati on behalf of APSCHE. Sri Venkateswara University has successfully conducted ICET in previous years. AP ICET Hall Ticket 2019 to be downloaded from the official website of APICET 2019. Hall ticket must be carried to the examination hall by each candidate. Students those who are going to appear state level exam can check these latest updates. Aspirants seeking admissions to MBA & MCA Courses may download Andhra Pradesh ICET Exam Admit Card 2019 from the online website at sche.ap.gov.in/ICET. AP ICET Result 2019 will be out in the month of May 2019 check your AP ICET Result 2019, on sche.ap.gov.in/ICET. You can check it on manabadi.com and schools9.com.